Now that Maclane's announcements have gone out, of course I'll share just a few of my favorites with you! I had such fun taking Maclane's newborn pictures and I'm so glad that I was able to take them in such a relaxed atmosphere. 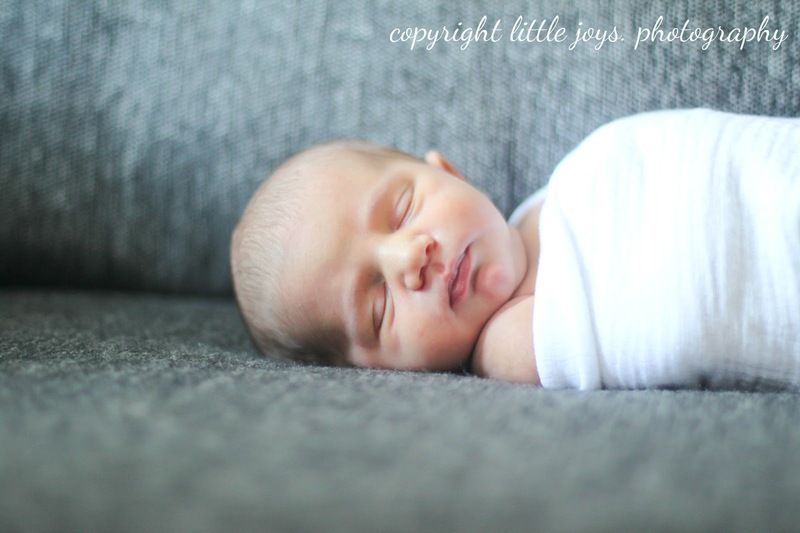 Rather than have to squeeze his entire newborn session into just a few hours, I was able to spread it out over days of life five through seven. Being able to nurse him repeatedly until he was sleepy enough to be moved and molded and take as much time as we needed in between takes was just perfect. 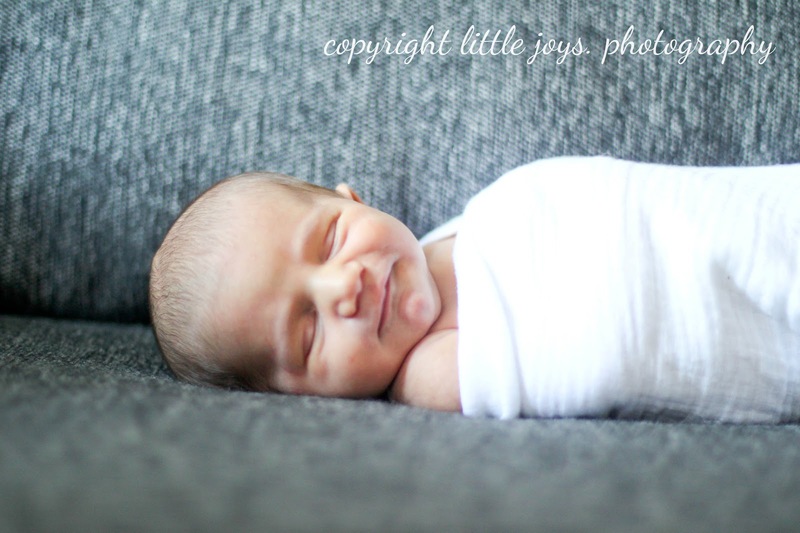 I just adore capturing newborns and am so happy I was able to get behind the lens and capture my sweet little boy's first few days of life! So precious. Cannot wait to see more!! Adorable...the one of him smiling is SO cute!! Oh these are adorable! He is so beautiful! I'm glad to hear that it went well for you to do them! They are adorable and he is just too cute! 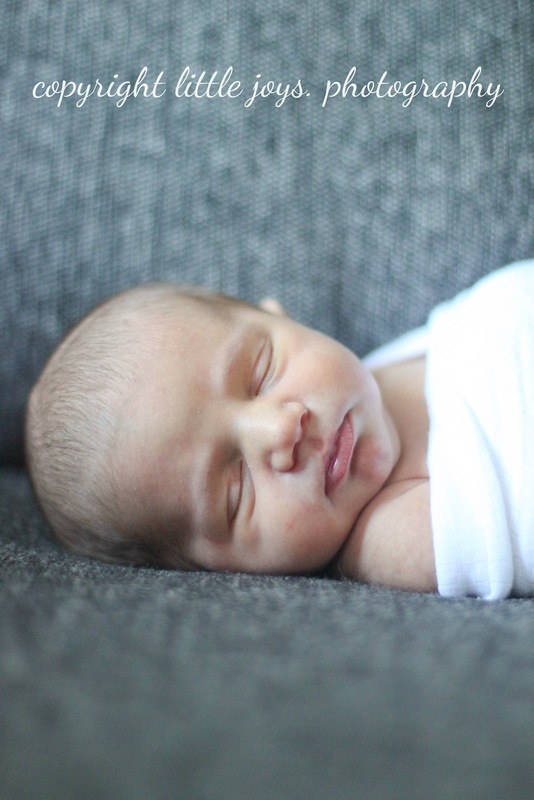 I love newborn photography, but didn't really get into it until after Lizzy, and I was hoping with #2 I'd be able to do some of my own newborn shots...but also highly suspicious that would actually pan out, ha! Precious! Kitty says, "Hi, Mac!!!" Love! Can't wait to see the rest. I just started following you on pinterest yesterday. Why it took me so long to realize you were on there....LOL. he is gorgeous and sweet and doesn't give me the fever at all. What a beautiful boy!! And you are such a talented photographer! He is gorgeous and you are oh so talented, my friend! Oh my gosh, that little smile!! I die. So adorable. So sweet! I so regret not having pictures done of newborn Quinny. The hubs kept saying he wanted to take them himself, but never did. You are so talented! It helps that your subject is so adorable, but these pictures are just amazing! And I just love the smirk on Mac's face in that last picture. Perfection!